← Academ Q&A – Bivvy or Shelter? The spring is that time of the year when a whole lot of us are deciding where the season’s fishing should lie. You can be one of those anglers that flits from venue to venue trying a whole load of different places which demand differing tactics and different challenges. For many of us though, the ultimate is to pick one water or group of waters and really focus there, getting to grips with all the problems that they throw up. There’s a lot to be said for this. If you’re concentrating on just one venue, then your focus is absolutely complete. You know where you’re going to go and so you can concentrate on swims and tactics rather than wasting time looking at the Carp maps of the world! The trouble is though, joining a top-flight club or syndicate (call it what you will) often involves a good deal of dosh. You’ve got to make sure that your decision is absolutely spot-on from the get-go. 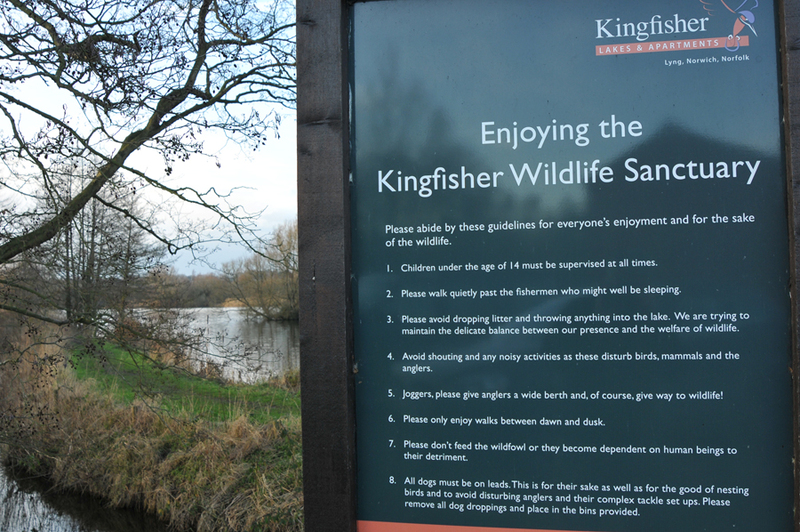 Because of my position as Fishery Director of the Kingfisher Lakes in Lyng, Central Norfolk I think I’ve got a fair idea of all the considerations that whirl round the minds of my own clients. It’s from around February that I begin to get the phone calls and the emails, nearly all raising the sort of doubts and worries that beset us all. Indeed, throughout the late winter and most of the spring I’m a type of Carp fishing Agony Aunt! Cost has to be one of the biggest issues. These are tough times financially and if you’re juggling a job, a family and your fishing, there probably isn’t going to be much slack. You’ve got to make absolutely sure that you’re getting value for every last quid. Naturally, you’ve got to take on board all the other factors, too. How much is your fuel going to cost you and is it the sort of water that’s really going to absorb a lot of bait? Are there joining fees? Are there any other add-ons that you might not know about? It pays to do a bit of research in the area and see what these waters are charging for the season. You never know, a bit later on, as memberships fill up or not, there might be a bit of leeway if you come in with a cash offer! Geography is important in part because of cost but also because you want to spend your time fishing not simply travelling. Also, if the water is reasonably close to you, you can obviously fit in sessions after work perhaps or short Sunday morning campaigns before taking the family out for the rest of the day. It’s also that much easier to mount baiting campaigns and, if the worst comes to the worst and you arrive at the water and find all the best swims gone, at least you don’t have the heartbreak of a hundred mile drive back home. So, unless there’s something out there that you’ve really set your mind and heart upon, I’d advise you to fish as local as you can. Stocks are obviously central. It’s no point finding a cheap water close to home if the fish that you’re after aren’t present there. You’ve got a hard decision to make. Do you want just one of two incredibly special fish a year or are you happy with more good quality fish? You’ve got to think where you are personally on the carping ladder. If you’re right up there, then the big challenges are for you. If you’re more feeling your way, I’d advise you to go for a water that is reasonably prolific but still produces really worthwhile fish. Remember that the quality of the fish is a very important consideration for most of us. At the fishery we’ve got some magnificent patterned and coloured crackers and even if they’re not fifties, the membership really appreciates the fish for what they are. Many of them are simply stunning and that counts for a lot. There are those anglers who would rather catch a simply gorgeous twenty-five over a rather manky thirty. One big question I’m often asked is the whole issue of stocking policies. It’s a really tricky one this. Obviously, your top-end fish are probably your older fish and there will be a natural wastage. That’s unavoidable. When you join a water, you need to know what the back-up fish policy is. Is there money to invest? Are there significant grow-ons coming through the ranks to take the place of the big old fish? It’s important to take on board that everything in fishing changes and Carp stocks especially can be very volatile. Another question I’m asked a whole lot these days, is that of protection. Of course, if you’re investing a dollop of cash in a water and you’re after one or two particular fish, you don’t want Mr Tarker to get there before you do. There are a lot of considerations here. At Kingfisher, with the size of the waters we’re talking about, plus a mile of river and the fact the place is a low-key holiday complex, we’d be looking a fence costing well over six figures. I’ve also go to say, hand on heart, I’m not aware of an Otter kill of any significance for the last four or five years. That could change overnight, of course, but my own feeling is that here in East Anglia at least, there is some sort of fish/otter balance taking place. But it’s a consideration. If it’s a very important one to you, then I’d recommend you go for a smaller water which is as secure as Fort Knox. I’m also asked on a pretty continual basis about the rules. When I took over the fishery, the rule list was about as long as the Bible. What I’ve personally tried to do is cut back as much as I possibly can. My own particular thinking – and you can take this on board or not – is that if you are an experienced carper, if you’ve paid a wad out, if you love your fish and your water, then you’re going to look after it. Above all, you’re going to make sure that others look after it, too. You’re not going to spoil something that’s really close to your heart. In my view, Kingfisher is pretty well policing itself and that’s why I’m really careful about new members. They’ve got to be guys that really love the place and are going to stand up for it. A lot of the rules we’ve arrived at by mutual consent. For example, we don’t have a closed season but all the guys have agreed that once the Carp are actually spawning, we keep off the water during that period. If it’s a prolonged spawning session then we fish areas where the carp are not obviously sporting themselves. One thing I changed immediately when I took charge, was allowing family members onto the water. Yet again, there is a large amount of give and take here. What I have in mind is allowing kids to come along with dad, to fish with a whip perhaps and enjoy themselves out in the countryside. I think this sort of thing is right up there in order of importance. You might agree or disagree but I think the vast majority of my members really appreciate this aspect of things. The privilege is not abused in any way because they know that if it were, then it would be removed. You might be well advised to have a look at your fellow members before joining up. Are they the sort of guys who you are going to fish with happily, side by side for long periods of the year? A good atmosphere is all part of a good fishery. You don’t really want cliques, gossip, secrets and jealousy. You’ve also got to take on board the number of anglers, too. You don’t want the place to be absolutely heaving. Yet, equally, you need a certain level of membership to keep the bait going in, too. This is a fine balance and, if I were you, I’d ask the fishery owner what his views on the matter are before parting with your cash. Of course, if you own a water, it’s often tempting to load the membership but it’s a short-term strategy. If you do that, and anglers are disgruntled, not only do they leave but the message soon gets around. A good reputation is hard won but easily lost. For many of my guys, the environment is a final but important consideration. They like to fish somewhere that is attractive. I try to maintain the fishery as the most beautiful of places and I know a lot of my anglers take this vital aspect on board. Of course, if it’s the fish alone that are your focus, then you can sit in your bivvy next to a motorway and not care. That aesthetic decision is yours entirely. Finally, I’d say this. Ask not what your syndicate can do for you but what you can do for your syndicate. Remember that you are not just paying over your money. Take on board my plea that you are committing yourself to becoming part of a team. It’s up to you to get on with the members that are already there. It’s up to you to show generosity both with bait, rigs, any secrets and especially with your praise when a big fish is caught. At Kingfisher, I love to see the lads gather round to offer support and congratulations during the weighing and photographic processes. Remember you can’t be King of the Carp lake each and every time you go out and if you take on board other people’s successes, you’ll drive home a richer man indeed. Also, don’t forget that if you show generosity towards others, they’ll show the same spirit towards you when your big day comes. Believe me, it’s far better to celebrate in company than in the solitary loneliness of your own bivvy! You’ll never get absolutely everything right but, believe me, if you tick most of the boxes that I’ve talked about you’re well on your way. Don’t forget, if you do have a problem, it’s always best to go with openness to the fishery owner or manager and explain what your gripe may be. Don’t be one of those who mutter darkly in corners because that way problems and suspicions merely multiply. Be straightforward in all your dealings and the fishery will look after you. 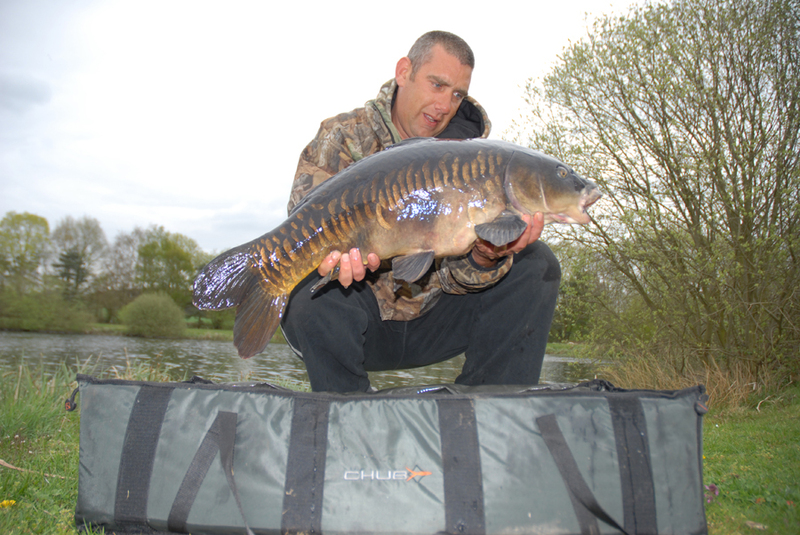 This entry was posted in Techniques and Methods and tagged carp fishing, John Bailey, venue. Bookmark the permalink.